If you play a lot of basketball outside during the warm months of the year then you know how much a crappy outdoor basketball can take away from a shooting session. Cheap outdoor basketballs tend to be made of rubber which is hard material when inflated. Rubber basketballs also have a tendency to warp over time, which leads to off center bounces. With summer fast approaching we’ve decided to do some research and give you our picks for the five best outdoor basketballs. This way when you go to the courts you know you’ve got one of the best outdoor basketballs that money can buy. Each of the basketballs listed below are technically categorized as indoor/outdoor basketballs. For this article any basketball that can be used outdoors is considered an outdoor basketball. At the top of our list of the five best outdoor basketball is the Spalding Replica Game Basketball. This basketball has received a lot of positive feedback from other review sites as well, and there are plenty of reasons why this basketball is considered one of the best. First off, the feel of the Spalding Replica is different than any other indoor/outdoor basketball that we’ve used. It is softer and more closely mimics the feel of an indoor basketball. Due to the extra soft cover of the Spalding Replica the feel of this basketball exceeds many other outdoor basketballs. Also of note is that the Spalding Replica has a very consistent bounce, which is another characteristic not seen in other outdoor basketballs. 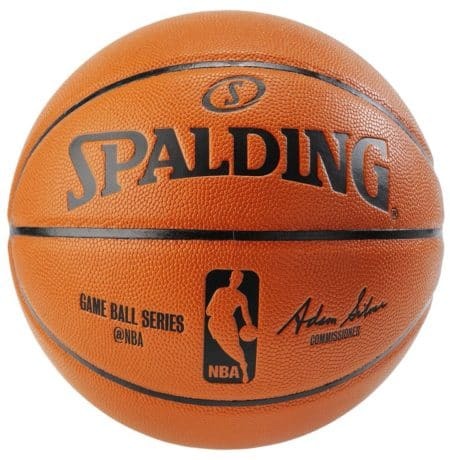 Coming in at a price of around $30, the Spalding Replica Game Basketball is affordable. With this combination of quality and affordability, the Spalding Replica Game Basketball finds itself as one of the best outdoor basketballs that one can buy. Under Armour is the new kid on the block when it comes to basketballs and basketball apparel. UA really hit the scene when Steph Curry ascended into basketball superstardom while wearing Under Armour sneakers. Within the last few years Under Armour has unveiled several basketballs that are meant for indoor and outdoor use. 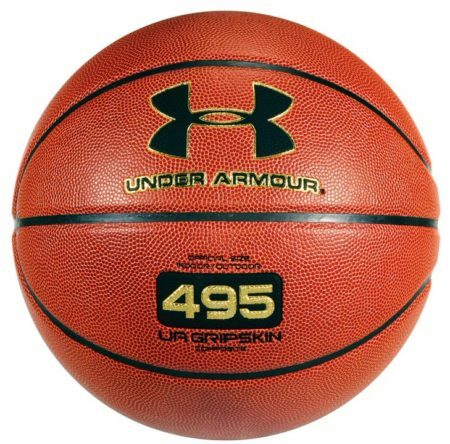 The best of the bunch when it comes to Under Armour basketballs is the UA 495 with “Gripskin”. While we don’t know much about gripskin, we can say that the Under Armour 495 performs well. It does seem to be quite similar to many Spalding basketballs in terms of the feel of the cover. The channel design of the UA 495 is fairly traditional. They are not too deep or wide, which will probably make this outdoor basketball better for basketball purists. The price of the UA 495 is similar to the Spalding Replica Game Basketball. While we prefer the Spalding Replica, if you are a fan of Under Armour, or do not care for Spalding products then the 495 will likely be your best choice. My favorite basketball growing up was the old Spalding TF-1000 indoor basketball. The composite cover on the ball was the softest and it felt great in my hands. 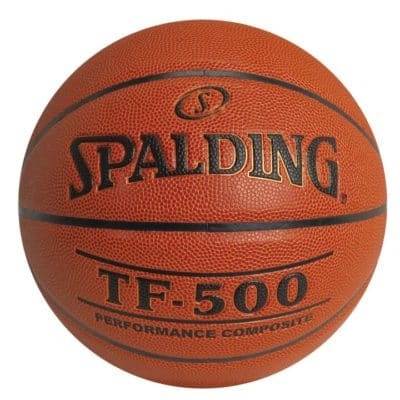 Spalding has continued the tradition of the TF line of basketballs with the indoor/outdoor Spalding TF-500. This basketball brings the quality of the TF-1000 to the playground. Compared to the TF-1000, the TF-500 has a more durable cover. This also means that the cover on the TF-500 is not as soft as the one found on the TF-1000. Having used this basketball recently I can say with confidence that it performs very well. The Spalding TF-500 bounces consistently and feels good in your hands. Baden may be a name that you are not familiar with, but you should be. 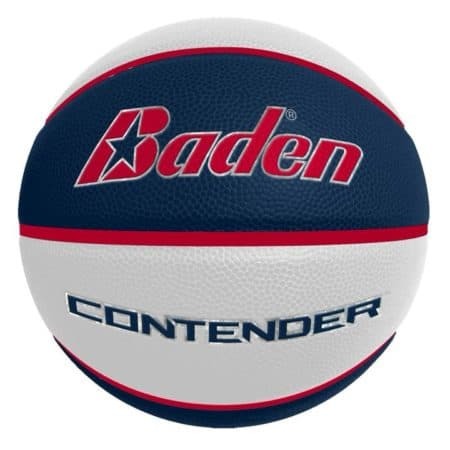 Baden makes some really good basketballs that are worth you consideration if you are looking to buy a new outdoor basketball. Their Baden Contender basketball makes our list due to several factors. First, the cover of this basketball is consistent and durable. It may not be the softest, but the cover is made from high quality composite and will last. The bladder of the Contender is also a strength as this basketball holds air well and will not give any weird bounces. This is one of the most consistent performing outdoor basketballs that can be purchased. We also like that the air valve for the Contender is recessed so that only the actual hole is visible. This works to eliminate any weird bounces that can sometimes happen when the ball valve hits the ground during a dribble. Want an outdoor basketball with maximum grip? Then look no further than the Wilson Wave. This basketball actually has extra grip channels that run the entire cover of the basketball. Combine this with deep and extra wide channels and you have an outdoor basketball unlike any other. 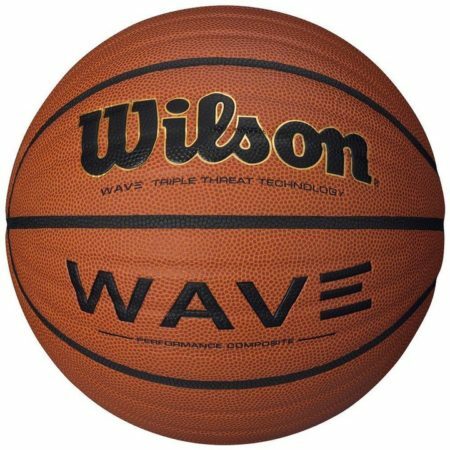 I must say that playing with the Wilson Wave is unlike any basketball I’ve experienced. These extra channels can also make shooting with increased rotation easier. On the flip side, using the Wilson Wave does take some getting used to as it just feels different compared to other basketballs. Personally, I prefer a more traditional channel design to the radically numerous and wide channels found on the Wilson Wave. The channel design of the Wilson Wave is polarizing. Some will like this basketball a lot while others will be turned off by the extra channels. 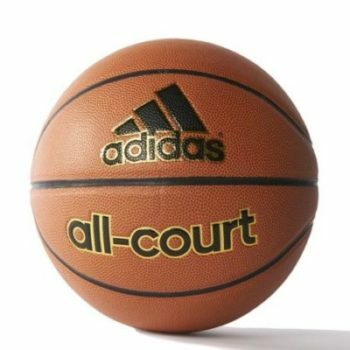 The final basketball to make our list is the Adidas All-Court Basketball. While Adidas does make basketball shoes and apparel, many do not even know that Adidas makes a basketball. But they do, and it is actually a pretty darn good one. The All-Court features a cover that is soft but durable. You will be able to get a good feel for this basketball and most will like how it performs. The only downside to the Adidas All-Court is that it does have some off center bounces. While rare, it can still effect your dribbling. When buying an outdoor basketball, you can expect that it won’t last as long as a properly cared for indoor basketball. This is because outdoor basketballs are put through a lot more beatings due to being used on asphalt, cement, and even gravel. 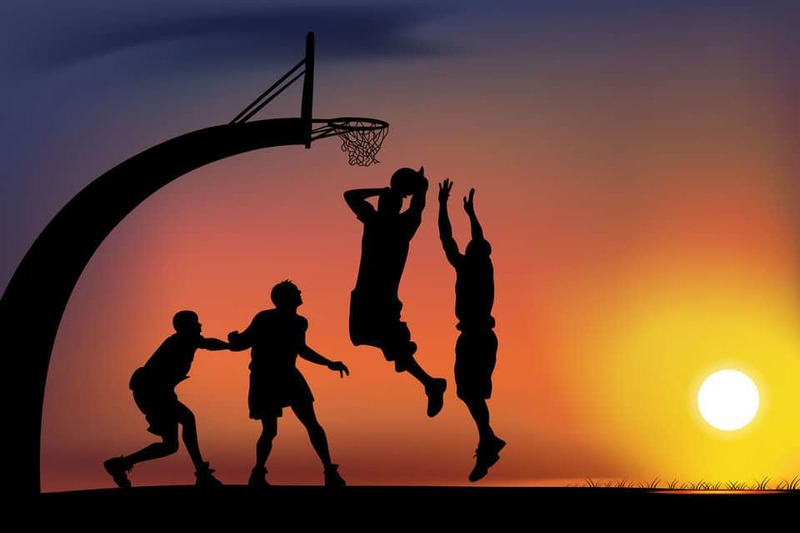 But just because you will use your outdoor basketball on many different surfaces doesn’t mean that it can’t last for several years with a few simple steps to prolong your basketball’s life. 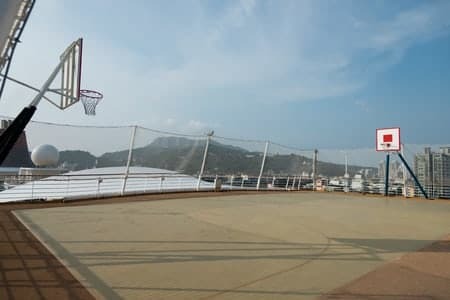 When using an outdoor basketball it is best to play on asphalt or cement. Sure, outdoor basketballs can be used on gravel, but we would recommend avoiding doing so if possible. Gravel is a very uneven and rough surface which can warp the badder of a basketball if consistently used on this surface. Aim to use your outdoor basketball on either cement or asphalt when outdoors. When using a basketball outdoors things like little pebbles and other debris can easily get stuck in the channels. By rinsing the basketball off after use it ensures that this debris is washed away and doesn’t create permanent damage to the ball. There is nothing more damaging to a basketball than allowing it to go flat repeatedly. This puts strain on the bladder of the basketball and leads to warping. Be sure to inflate your basketball regularly so that you can avoid these complications. Is the Spalding Hercules Portable Basketball Hoop Right for You?